Seven hundred years ago the world was dominated by one superpower, the Mongol Empire. Only one conquest still eluded their leader, Khublai Khan - the mystical islands of Japan. To seal his place in history, he constructed the biggest invasion force the world has ever seen, a fleet of more than 4,400 ships. But at this pivotal moment in world-history the fleet vanished without a trace. 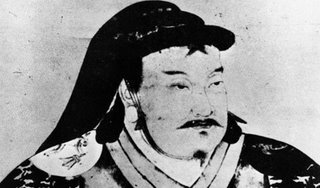 What force destroyed the Mongol armada? Was it the legendary Japanese samurai? Human error? Or a natural disaster of catastrophic proportions? Now a Japanese marine archaeologist believes he has found the Mongol fleet. With an array of the latest marine forensic technology, he is revealing chilling new insights into the events of that fateful day. Can science finally solve the mystery of Khublai Khan's Lost Fleet?